Welcome to a concert season full of passion, grand music and sublime guest acts! Every series offer a selection of the season’s concerts and has something to offer all music lovers. Familiar and unknown, brand new or reinterpreted for centuries – the programmes have been put together so that as a subscriber you will cover the entire musical palette in the course of the year. Contact DR Koncerthuset Customer Service if you are unable to secure seats in your wanted pricerange – Phone: +45 3520 6262. In the T1 series the Danish National Symphony Orchestra opens the floodgates for music inspired by nature in both its most gentle and its most violent manifestations. With the T2 series you get a succession of immortal masterpieces that are among the most visio-nary, sublime works of classical music. The music in the T3 series reflects the many facets of human life – from the doubting and serious to the festive and colourful. 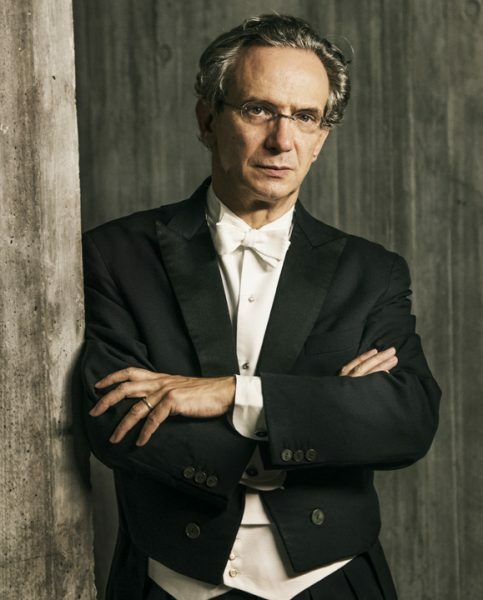 Experience three of the world’s leading violinists in this concert series, which also offers first-class vocal soloists and a whole four concerts with Principal Conductor Fabio Luisi. In this Friday series you go time-travelling in music with beautiful symphonies from four centuries guided by a handful of great conductors. with magnificent choral singing and a wealth of vocal soloists.